Toronto chimney removal is a big job, and one that may or may not be necessary depending on the status of your chimney. Some people remove a chimney because it is badly decomposing and needs to be replaced from scratch. Another reason chimney removal takes place is when redesigning the floor plan of a residential or commercial building. Removing a chimney is less complicated than building a chimney, but it’s not necessary less work. There is no easy way to remove a chimney, in totality it’s a job that is known for being dirty, and even dangerous if not properly conducted. Here are 11 things you need to know when considering Toronto chimney removal. Partial chimney removal includes removing the center portions of the chimney, but a full removal includes removing the entire chimney including the chimney breast. A full chimney removal will leave a hole in your roof as well as a large hole in your floor. If you never use the chimney you could feasibly leave the chimney breast in place, thus decreasing repair work and reducing the need for added support beams. In most cases you will need to get permission from local authority within your zoning area to remove your chimney. 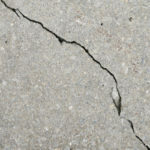 Post-authorization work must be conducted to safety codes and local building regulations, thus preventing structural damage from harming your home. Always have permits in hand before starting any work. 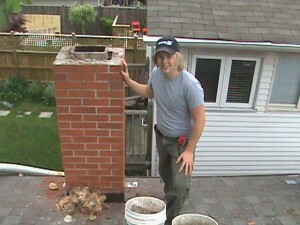 Chimney removal is conducted one brick at a time, making for quite a tedious and time-consuming job. Knowing all of the manpower that goes into removing a chimney is important when considering how much budget you have for the task as well as if you want to hire someone for the job. 4. What Will You Do With All Of The Materials? Standard procedure includes starting at the roof and working down from there. Once you get to the bottom you’ve got a few tons of brick and mortar on your hands, as well as flue tiles. 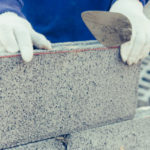 You will need a plan to remove all of these materials, something a professional masonry service will take care of for you in most cases. If the chimney is attached to your home you must consider filling in the walls that will be opened and exposed, creating building violation issues among other problems. This is why it’s so important to think over your entire plan of action before diving in and tearing down the chimney. Otherwise you could end up with a big hole in your house and no plans or possibly even funds to fix it. 6. Is It Better Value To Repair? 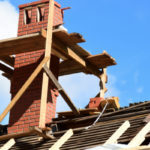 Tearing down a chimney and rebuilding it could cost a good chunk of money, possibly more money than repairing a badly degraded chimney. If there is still any value left in your chimney it might be advised to repair as opposed to tear down and rebuild. Talk with a masonry chimney expert before making the final decision. Chimneys are not cheap to install and so you need to make sure it is the best value to tear down and rebuild. Your chimney may be more integrated with the actual stability of a structure than it appears. Taking down a chimney that is helping support a structure could easily create issues relating to instability. This is yet another reason why having a professional out is so important because otherwise you risk taking down an integral portion of your home. Removing a chimney isn’t a simple DIY project you can take care of on your own. In fact, a few experienced people are needed on site to get the job done right. Having more than one person on the job makes it safer, easier and more realistic to get the job done without error. Chipping away at all of that old brick and mortar will produce a great deal of dust that could be highly toxic to your health. Protect your lungs and wear a respirator if you are going to be working on removing the chimney or even in the surrounding area as the job takes place. If you live in an older building you may find some telling evidence of the past when removing your chimney. People have found all sorts of things, including dated and signed bricks by original homeowners. Be on the lookout for these awesome artifacts! If your building is old you need to be aware of any building codes for heritage properties. Is it really in the best interest of your historical home to take down the chimney? If there is no other option but to tear down an old chimney you want to consider rebuilding it in a way that mimics the original chimney. Turnbull Masonry is a leading expert in Toronto heritage building restorations. 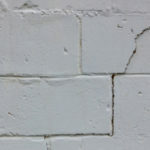 We know how to conduct work that truly imitates the look of the past, preserving the valuable history of your building. Considering everything involved it’s a lot of work to properly remove your chimney. That’s why hiring a professional is highly recommended. Contact us today to get a quote for chimney removal.